Rain/showers on the way over the next few days. For those curious...enjoy ! Not much in it, weaken system now and most slide under Kangaroo Island, we get 1-2mm that all. Might see few storm East of Ranges, more like Easter border. For people in Adelaide Metropolitan, Mount Lofty Ranges, Lower Eyre Peninsula, Kangaroo Island, Lower South East and parts of West Coast, Yorke Peninsula and Upper South East districts. Issued at 1:30 pm Monday, 28 May 2018. Weather Situation: A band of showers and thunderstorms associated with a cold front is expected to move across Eyre Peninsula this afternoon, and reaching the Adelaide area and the South East this evening. A deepening low pressure system over the Bight is forecast to track south of Kangaroo Island overnight. Localised damaging wind gusts in excess of 90 km/h may occur in the warning area, as the cold front and band of showers and thunderstorms moves through. Locations which may be affected include Coffin Bay, Port Lincoln, Kingscote, Victor Harbor, Robe and Mount Gambier. Following the cold front, strong and gusty northwest to westerly winds will persist across southern districts. These winds may become locally damaging, averaging 40-65 km/h with gusts of 90-100 km/h, south of roughly Port Lincoln to Minlaton to Strathalbyn to Naracoorte, for a period between this evening and Tuesday morning. Coastal areas and elevated ground are more likely to be affected. The next Severe Weather Warning will be issued by 5:00 pm ACST Monday. 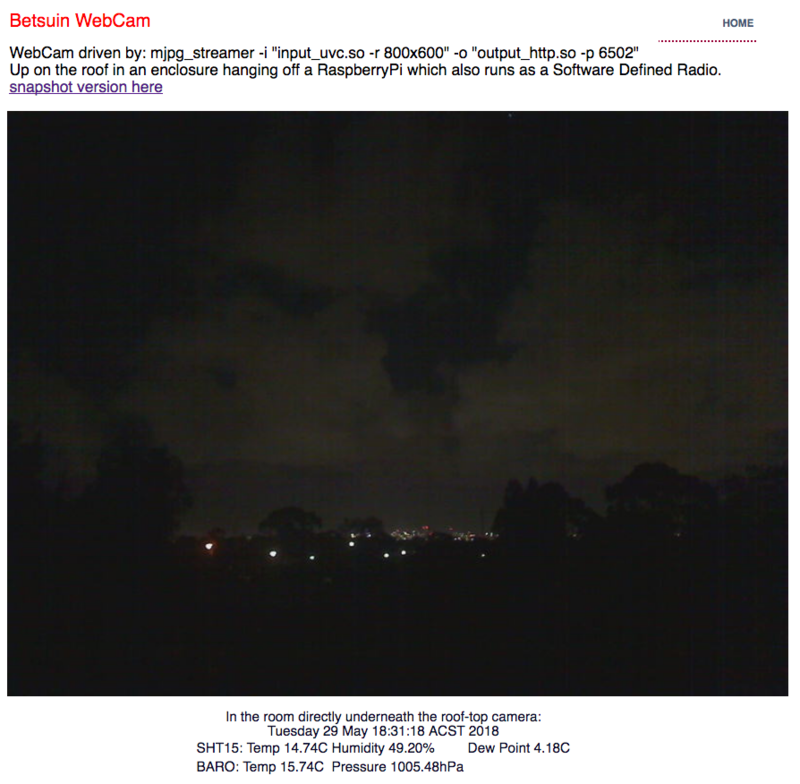 Massive storm East ranges, I said bee4.. Forum dead anyway, non point posting, don't listen. Bureau of Met. Lost plot! Latest forecast oh so funny. We not get more than 2mm in Adelaide next 3days.what drug they on re storm an hail shower?? Bad bad forecast and now they will look silly as will news reader hahahaha! For people in Adelaide Metropolitan, Mount Lofty Ranges, Kangaroo Island, Lower South East and parts of Lower Eyre Peninsula, Yorke Peninsula and Upper South East districts. Issued at 4:56 pm Monday, 28 May 2018. Weather Situation: A band of showers and thunderstorms associated with a cold front, located over western Kangaroo Island at 5 pm, is moving east and expected to reach the Adelaide area and the South East this evening. A deepening low pressure system over the Bight is forecast to track south of Kangaroo Island overnight. Localised damaging wind gusts in excess of 90 km/h may occur in the warning area, as the cold front and band of showers and thunderstorms moves through. Locations which may be affected include Kingscote, Victor Harbor, Robe and Mount Gambier. Winds gusts up to 80 km/h were recorded at Port Lincoln Airport and Cape Borda. The next Severe Weather Warning will be issued by 11:00 pm ACST Monday. For people in Riverland, Murraylands and Upper South East districts. Issued at 3:39 pm Monday, 28 May 2018. Thunderstorms are occurring in parts of the warning area. Some of these may produce damaging wind gusts in excess of 90 km/h over the next several hours. Locations which may be affected include Waikerie, Renmark, Loxton, Lameroo and Keith. The next warning is due to be issued by 6:40 pm. Bit of thunder about and some showers now developing. Frequent showers, some heavy. Feeling progressively more cold. Expecting hail at any time from now in the southern burbs. Radar indicates heavy showers just north and just south of Reynella. Do I have the force field here at my place? Hardly anyone posting here now! How come? Im assuming everyone has jumped ship to Farcebook. Yeah, dead forum, not gone to Facebook. More like reason of boring weather. One shower here there, weak boring system.. 0.8mm total here since first spots 9oclock last night. Very isolated. See Facebook group, think it South Australia Weather, not really group, owners post forecast copy%paste from bureau then followers comment. Not like here where you have own say. Guess it created big head in here, not sure. We have had [censored] weather for such a long time that it's hard to get excited to come and talk. Even the current system was awesome... over the hills. Also, it's way easier to post images for most people on facebook, which is probably the biggest drawcard. anyway, pity this current cold pool isn't a bit chillier. Down to about 6 degrees on lofty which is nice. I use https://imgur.com/ which is free - the ToS when I first joined had what I wanted, probably should check them again.. Be surprised if they are worse than FB. PS: A bit of weather! Bring it on - sure has been rather bat-[censored] boring - gads!! Got plenty of hail here this afternoon in a particularly lashing shower! lucked out here. 7mm from the rainband, 5.5mm in about as many minutes from last nights awesome storms then 4.5mm and hail in a very localised short sharp coldie today. have no intention of ever voluntarily going there...ever. so i can say for certain 'not everyone' has gone to facebook. interesting and vibrant as a bankrupt morgue. and prolly lots of others as well. thats the way it goes. a case of get a degree in civil engineering. world. history provides many examples to reflect on. up and kick our asses all the way into next summer. us will be sick of and well and truly over winter. only 3.5mm out of all of this last lot. Right, but, you know how to do this from practice. For anyone who was trying to get into things facebook just lets them drop the picture and away it goes. No restrictions on size or format etc. Honestly as [censored] as facebook is in general it is good enough for closed groups because you can mostly curate the users. I may not post much but I do enjoy reading the the particularly descriptive info provided/suggested. I'm sure there are many like me. It was looking like a ghost town here a couple of days ago. Just looking ahead, there appears to be a substantial event at the end of next week. I know, it can change a lot between now and then however it does give my garden and the farmers something to look forward to. Generated in 0.475 seconds in which 0.451 seconds were spent on a total of 14 queries. Zlib compression disabled.